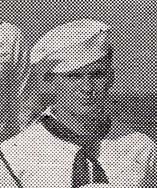 Okey Lee Bartrug was a Pearl Harbor survivor aboard the USS West Virginia along with his brother Sterling. Okey and his wife Jennie had four children. Okey died on July 19, 1983 in Ellensburg, WA.